Why Do People Fear Bears? Will a black bear sense I’m afraid and attack? Most people ARE afraid near bears and are not attacked. 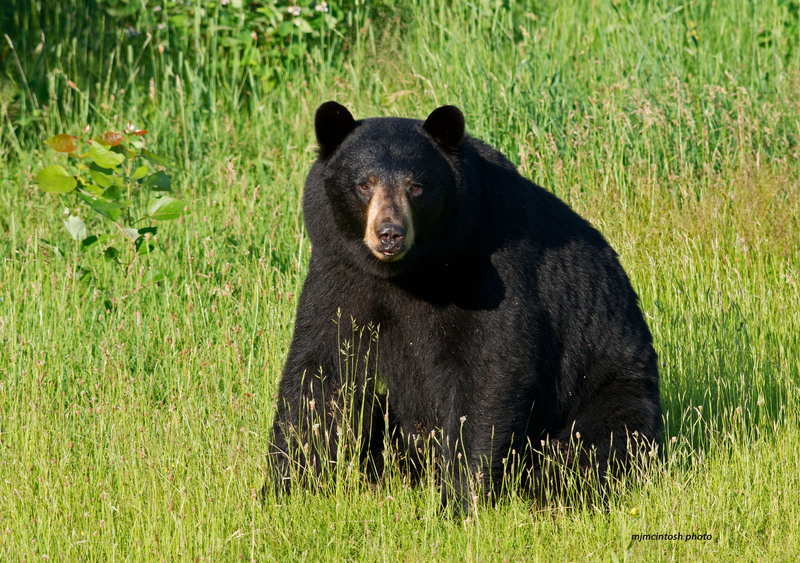 Black bears are not looking for a vulnerable person to attack. Their first concern is that THEY will be attacked. 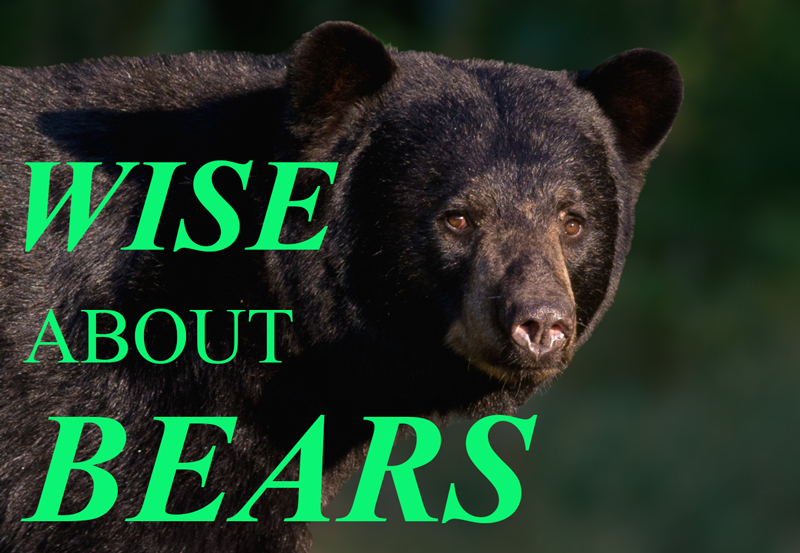 Black bears may have the same worries people do about appearing afraid and vulnerable. That might be why they become blustery when they are nervous. 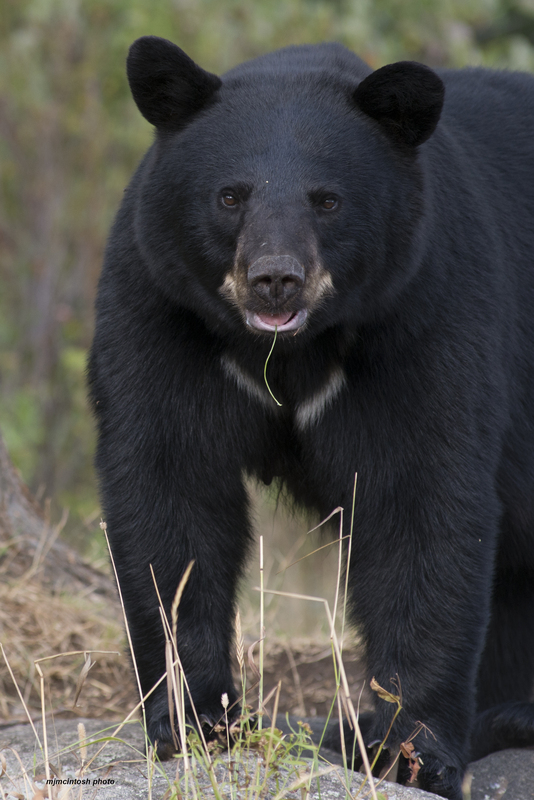 The erroneous belief that black bears are likely to attack is difficult for people to shake after a lifetime of seeing ferocious-looking pictures and snarling taxidermy. Month after month, outdoor magazine artists draw terrifying pictures of bears. The most common drawings make bears look like they react to people with anger and an unnatural snarl that is drawn entirely from the artists’ imagination. In reality, only rare individuals attack. About one black bear in a million becomes a predator. For the rest, attacks are difficult to provoke. 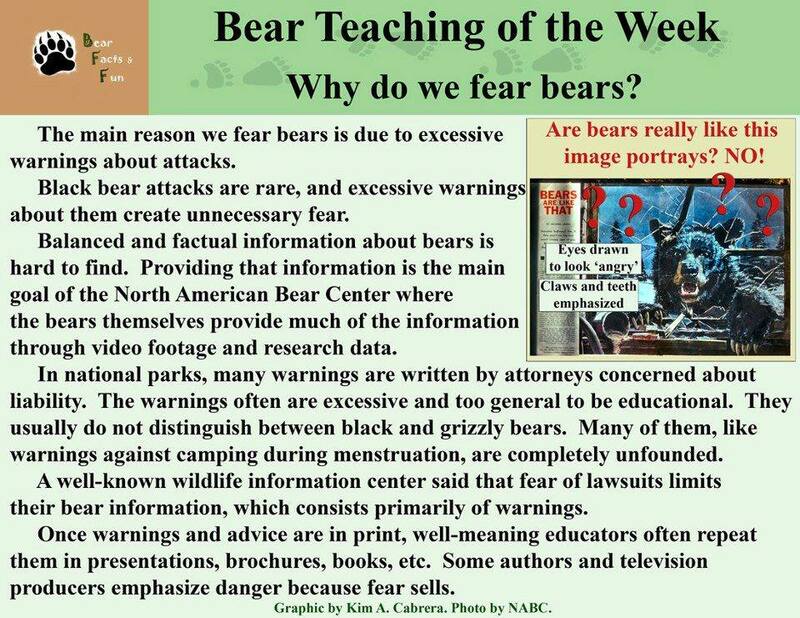 Bear Center researchers have not heard of anyone being attacked because he or she was afraid. In an inadvertent test, a researcher tripped while retreating from a charging mother black bear and felt intense fear lying on his back with the upset mother standing over him. She didn’t touch him. How dangerous are black bears? In working closely with wild bears for the past 40 years, I have gradually become more and more comfortable with them as I learned their “language” and how they think. I have learned to trust certain bears and bear families to the extent that they mostly ignore me as I walk and sleep with them for up to 24 hours at a time. I used to think black bears were very dangerous, but my thinking evolved in much the same way people have changed their attitudes about gorillas. 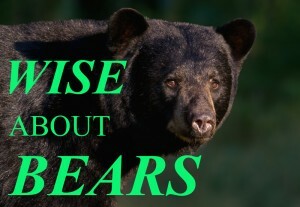 I now interpret aggressive displays by black bears in terms of their fear rather than mine. Their most common aggressive displays are merely rituals they perform when they are nervous. When I see any bluster, I feel safe. It means the bear wants to talk about the problem it has with me. I have never had one come after me and hurt me. The only times I have been bitten is when I initiated the contact. Black bears have killed 67 people across North America since 1900. This no longer worries me. My chances of being killed by a domestic dog, bees, or lightning are vastly greater. My chances of being murdered are 60,000 times greater. One of the safest places a person can be is in the woods. A big revelation to me was how reluctant black bear mothers are to defend their cubs against people, even when the family is cornered in a den and I’m trying to stick the mother with a needle to tranquilize her. Defense of cubs is more a grizzly bear trait. There is no record of anyone being killed by a mother black bear defending her cubs, and attacks are very rare. We routinely capture black bear cubs in the presence of mothers and have never been attacked. Black bears are timid today partly because they evolved alongside such powerful predators as saber-toothed cats, American lions, dire wolves and short-faced bears, all of which became extinct only about 12,000 years ago. Black bears were the only one of these that could climb trees, so black bears survived by staying near trees and developing the attitude: run first and ask questions later. The timid ones passed on their genes to create the black bear of today. That timid attitude still serves black bears well now that people have spread across North America. Startled black bears run away, often to a tree. By contrast, a startled grizzlies may charge and occasionally attack, making grizzlies over 20 times more dangerous than black bears. What should people do if they see a black bear in the wild? Basically, enjoy it. We like to make ourselves inconspicuous to watch them longer before they discover us and run. To make the bear run away, step out and wave and say “Hi, I’m a human!” We have seen a lot of advice to avoid eye contact and avoid running away, but we have been unable to find any instance where doing these things has precipitated an attack. Fearful people usually tell us “I ran one way and the bear ran the other.” We don’t recommend climbing trees. 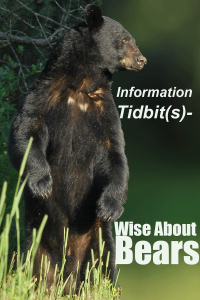 Offensive attacks are very rare and include all of the killings by black bears. These are generally unprovoked predatory attacks in remote areas where bears have the least contact with people. Bears that visit campgrounds, bird feeders, and garbage cans almost never kill people, even though these bears have by far the most contact with people. The 750,000 black bears of North America kill less than one person per year on the average, while 1 out of each 16,000 people commits murder each year across North America. 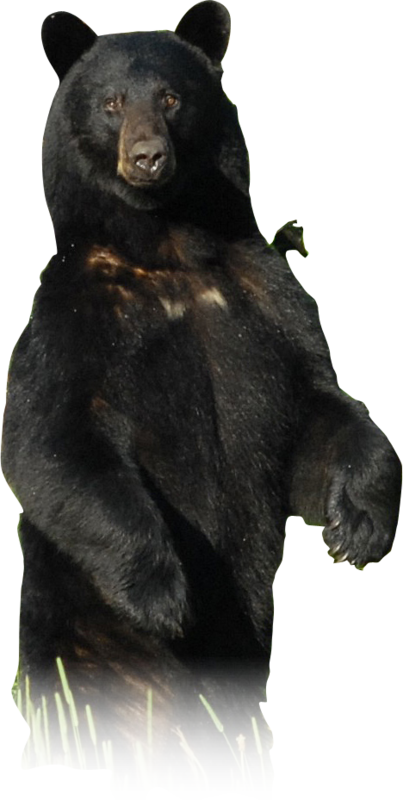 Most attacks by black bears attacks are defensive reactions to a person who is very close, which is an easy situation to avoid. Injuries from these defensive reactions are usually minor. Carrying a small can of pepper spray is a good way to feel self confident around black bears. It works as well on bears as it does on dogs. They don’t go away mad, they just go away. A 4-year-old girl made a bear run away by spraying it in the eyes. The next day, the girl saw the same bear and it ran up a tree. Bears can look like they are stalking when they are actually approaching out of simple curiosity. Will a bear attack because it senses you are afraid? No. 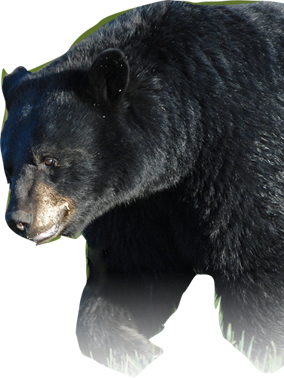 Most people who find themselves near a black bear ARE afraid, and they are not attacked. 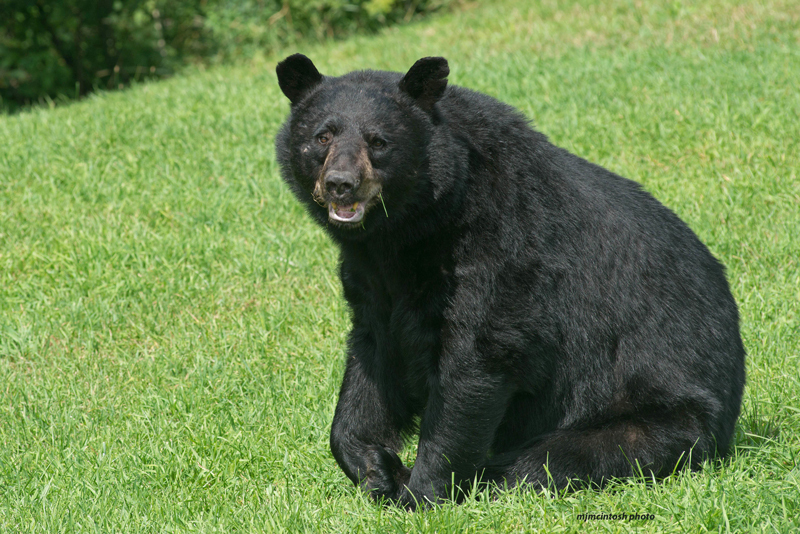 Black bears are not territorial toward people like some dogs are. Black bears are mostly afraid THEY will be attacked. If a person doesn’t want a black bear to come closer, act aggressively. Black bears that come into campgrounds are looking for food, not people, and can easily be chased away in most cases. In our experience, no matter how bold and confident bears seemed, they still recognized aggressive behavior and ran away when someone yelled and ran toward them. Besides pepper spray, throwing stones is also effective, especially if you yell and act aggressive at the same time. As people learn more about black bears, fewer and fewer people feel they must shoot them on sight, and people enjoy seeing them. We don’t recommend touching wild bears because they may react defensively with a nip or a slap. 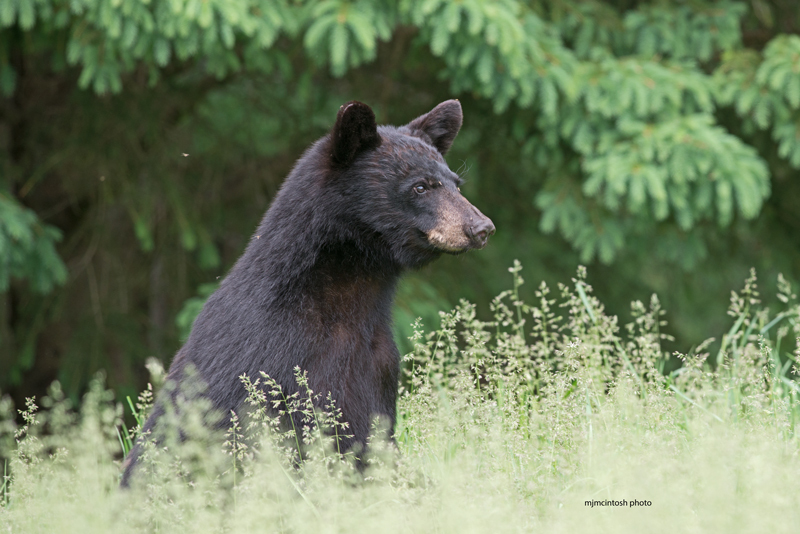 However, the many people who interact closely with wild black bears across North America incur few injuries, showing that black bears are not as dangerous as most people have thought. Can we co-exist with black bears? The residents of Hemlock Farms, Pennsylvania suggest we can. Seven thousand residents share their seven square mile town with over 20 black bears. That’s 3 bears per square mile, a higher density than is found in any national park. In that town, seeing a bear is not a problem – they enjoy seeing the bears. 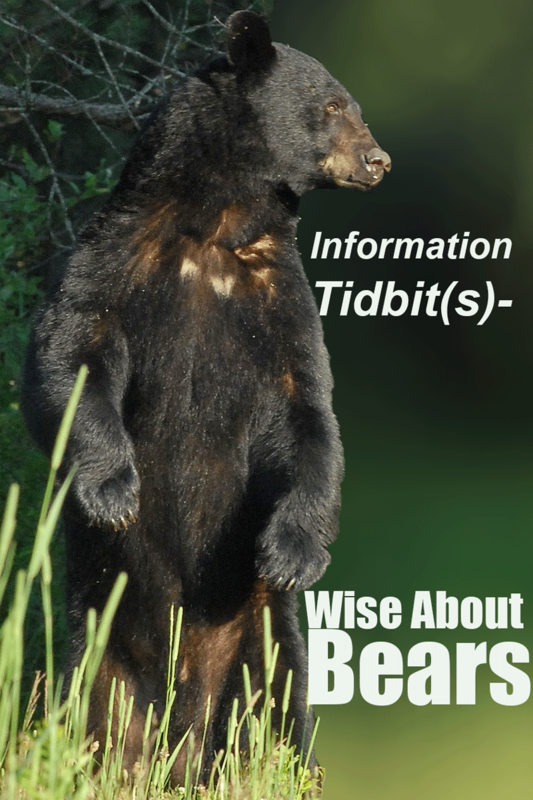 Credits – Dr Lynn Rogers of the North American Bear Center -www.bear.org and Michele Chartier -BFF Michele Facebook. Photos – Mike McIntosh unless otherwise stated. Its a Bear! What do I do?